This summer, the House Appropriations Committee voted for the first time to authorize killing healthy wild horses and burros. It did so with the full support of Interior Secretary Ryan Zinke, whose department bears the responsibility for managing wild horses on public lands. 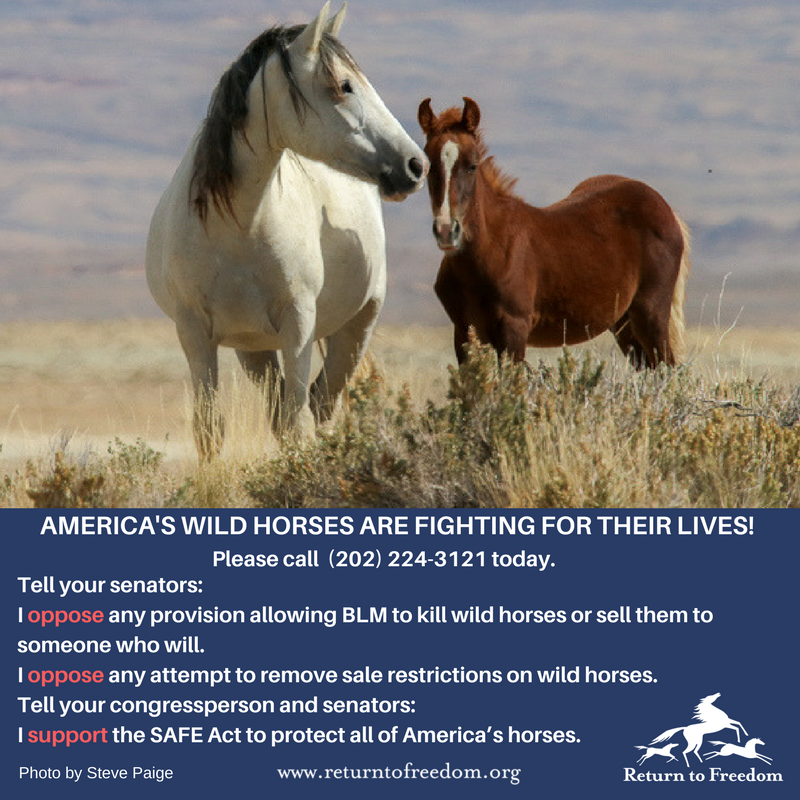 On one level, the vote to allow wild-horse killing is easy to understand. The Bureau of Land Management (BLM) scheme for managing protected wild horses and burros has never worked well, and has collapsed completely in the last 15 years. 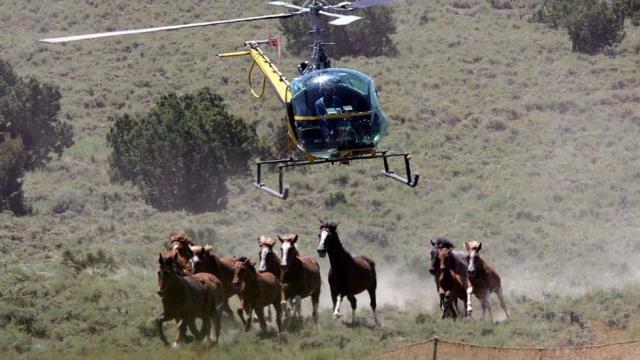 Rounding up wild horses with helicopters and removing most of them for adoption is a strategy whose success depends on the whims of the horse adoption market, and works against wild horse reproductive biology. Adoptions have not kept up with removals, and removals have not kept up with natural growth of wild horse populations on the range. Today, 46,000 formerly free-roaming wild horses are warehoused in holding facilities, costing taxpayers $60 million a year and counting. At the same time, according to the BLM, the number of horses and burros on the range has more than doubled since 2005-2008. Something must be done to break out of this costly cycle of futility. Hence, the committee vote. Still, on another level, the committee’s action is bafflingly disingenuous and shortsighted. As a former congressman and governor from the West and a scientist and advocate who share more than a quarter century of engagement with the wild horse issue, we do not believe there is any chance that the public will allow killing of healthy wild horses on this scale. Historically, public outrage has routinely blocked far lesser abuses. But if other issues conspire to divert public attention from horse-killing, the 20 percent annual growth rate shown by wild horse populations on public lands would refill BLM’s holding facilities to current levels in a mere three years. The killing strategy is no more sustainable than the roundup and adopt strategy. The wild horse challenge cannot be solved unless wild horse reproduction is managed on the range. Less than a mile from where the House Appropriations Committee debated killing wild horses, experts from all over the world participated in the eighth International Conference in Wildlife Fertility Control. There, researchers from Cummings School of Veterinary Medicine at Tufts University, The Humane Society of the United States and the University of Toledo presented data from field trials showing that two doses of a contraceptive vaccine (known as PZP) delivered several years apart can block wild horse pregnancies for five years or longer. The vaccine costs a few hundred dollars for the first dose, but only $25 for the second. Another research group from Colorado State University, the National Park Service and USDA’s National Wildlife Research Center showed remarkably similar data from wild horse field trials with a different contraceptive vaccine (known as GonaCon). These vaccines, and the data describing their safety and effectiveness, are both well known to the BLM, which has been funding such research for decades. Side effects are minimal, mostly consisting of short-term reactions at the injection site experienced by some horses. Researchers can still improve these vaccines, and are eager to do that. But it is the job of the BLM to inject these vaccines into enough horses to slow down population growth. Working with the BLM at Cedar Mountains Herd Management Area in Utah, the Tufts/HSUS/Toledo research team showed that it can be done. Enough mares were treated with PZP at a 2012 BLM gather to reduce annual population growth to about 8.5 percent over the two years following — a third of the normal growth rate at that site. Cedar Mountains is a tough place to work, covering 280 rugged square miles, nearly 60 percent of which is wilderness off-limits to vehicles. If BLM can do it there, they can do it nearly everywhere. To reduce the number of gathers and the flow of animals into holding, improve the health of the range long-term and find its way out of its perpetual wild horse crisis, the BLM must develop and put into practice locally tailored long-term plans to manage wild horses and burros with fertility control. Instead of funding horse killing, Congress should insist that management by fertility control gets done, and provide the BLM with the cash to do it. Bill Richardson has served as a U.S. congressman (1982-1996), U. S. ambassador to the United Nations (1997-1998), secretary of Energy (1998-2000) and governor of New Mexico (2003-2011). With actor and conservationist Robert Redford, he started the Foundation to Preserve New Mexico Wildlife to protect wild horses and provide alternatives to horse slaughter. Allen Rutberg is director of the Center for Animals and Public Policy at Cummings School of Veterinary Medicine at Tufts University and a long-time wild horse contraception researcher. Will a Senate bill save thousands of wild horses, burros from being euthanized?